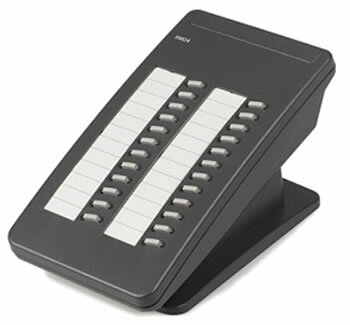 The XM24 is an add-on unit that works in association with a Avaya 6416 or Avaya 6424 display phone and provides an additional 24 programmable call appearance / feature keys with twin lamps. Only one Avaya XM24 is supported per 6416/6424 phone. Each IP Office DS module supports a maximum of two XM24 units.